The Association of British Professional Conference Organisers (ABPCO) is supporting next month's Tech Fest, an event aimed at encouraging event organisers to adopt new technologies. ABPCO vice-chair Jennifer Jenkins will address delegates during a panel debate on wi-fi for events. The association is behind a campaign, dubbed Conference Cloud, calling for all venues to provide event delegates with free wi-fi access. 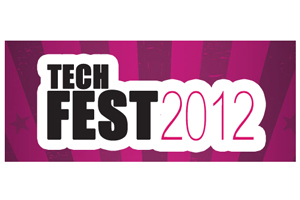 Tech Fest takes place on 18 June at The Mermaid Theatre in London and is being organised by Gallus Events. It is free to attend. More than 16 associations have already signed up to attend, including The British Psychological Society, The European Commercial Finance Estate Council and The British Council of Shopping Centres.